One of the really great figures of design – Alessandro Mendini – is curating and designing a retrospective of the last 30 years of Italian design specially for Die Neue Sammlung. 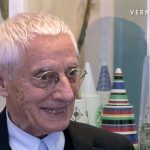 Alessandro Mendini focuses his exhibition on a key player in the design world: the Alessi company, which has very successfully morphed from a small metal-working firm into a creative factory in the field of design with global operations. Not only with its products but above all through its influential ideas, actions and meta projects Alessi wrote European design history and provided inspiration for reflections on the future of design. The exhibition is titled “Oggetti e Progetti – Alessi” and runs until September 19, 2010. 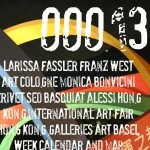 This video provides a walk through of the exhibition on the occasion of the opening reception. Coming soon: Alessandro Mendini in conversation with Dr. Corinna Rösner, Chief Curator Die Neue Sammlung. Oggetti e Progetti – Alessi: Storia e futuro di una fabbrica del design italiano. An exhibition by Die Neue Sammlung – The International Design Museum Munich – in cooperation with Museo Alessi. Alessi retrospective at Die Neue Sammlung – The International Design Museum in Munich / Germany. Opening reception, May 21, 2010.